Suffering from bad breath? 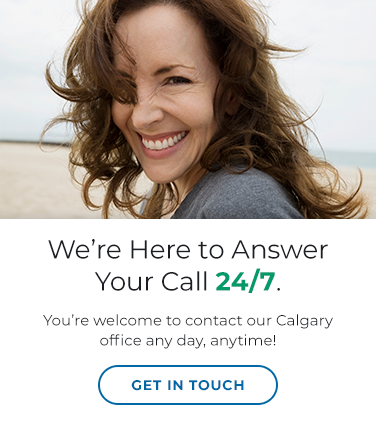 At Arbour Lake Dental Care in Northwest (NW) Calgary, we offer bad breath treatment with the help of the Oravital™ System. Our team of dental professionals at Arbour Lake Dental Care are trained in the Oravital™ System, which chronic bad breath, bad taste in the mouth, and periodontal disease. Harmful bacteria in the mouth may cause patients to be predisposed to health conditions such as heart disease or diabetes. Your sense of smell and taste may also be affected. How does the Oravital™ System work? The Oravital™ System is designed to detect and treat causes of bad breath. Screening: A swab will be used to take samples of bacteria from your mouth. A lab will conduct a microbial analysis to look for odour-causing bacteria. Treatment: If harmful bacteria are found, you will begin using an Oravital™ antiseptic or antibiotic rinse that’s formulated to kill the germs causing your infection. Evaluation: After using the rinse for approximately two weeks (or another time frame given by your dentist), you will return for a checkup. Your teeth, tongue and gums will be examined to look for any problems. Maintenance: We recommend regular dental checkups along with a good home care routine. This could include using an Oravital™ rinse on a daily basis. Re-evaluation: In order to monitor the balance of your mouth’s bacteria, it’s recommended that you have microbial testing at least once a year. If the harmful bacteria accumulate again, your bad breath symptoms could return. Preventive care is important when you are affected by bad breath. To book your appointment, call us today.